First let’s talk about Nike’s new self-lacing sneakers due to be released next year. With the recent “Back to The Future Day” just passing conjured up comparisons to what was predicted in the movie compared to what has actually come true. While there were many predictions in the movie as to what life would be like in 2015, one was the self-lacing sneaker. Nike is now ready for the challenge. According to Clickuz.com, Nike CEO Mark Parker stated, “We started creating something for fiction and we turned it into fact, inventing a new technology that will benefit all athletes.” Thus the Nike Mag was born. In a true fitting manner, a pair of the sneakers was given to Michael J. Fox who starred in the Back to the Future Movie. 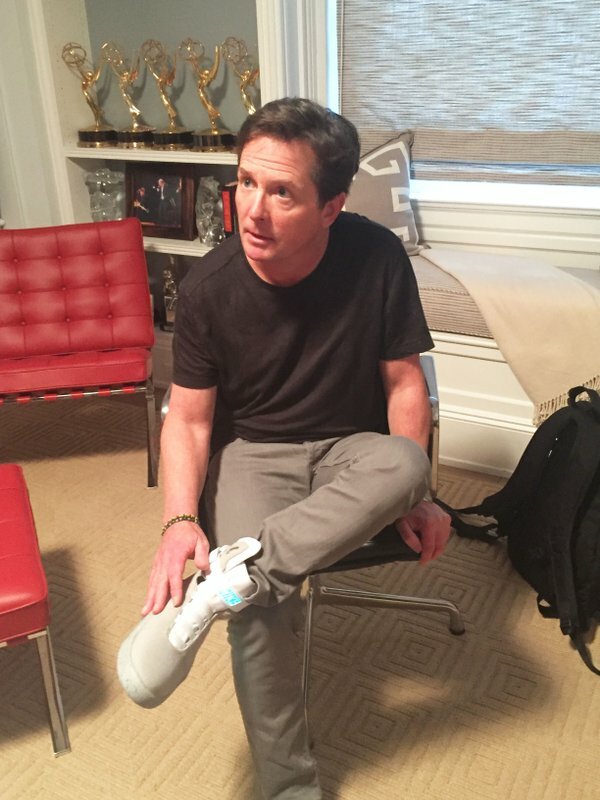 He then wore the Nike Mag on the Jimmy Kimmel Show as seen in the photo below. What is cool about the sneakers is that they are hot! It isn’t like Nike is just throwing a new technology into a poor design that people will not want to wear. Of course, you always have consumers that will buy anything new but most shoppers still value design, comfort and fit above all else. It will be interesting to see the final product once it is released. The next company getting it right is a fashion label I came across while researching an upcoming piece we have coming out. When I saw this brand I was instantly a fan. The fashion label is Cute Circuit. 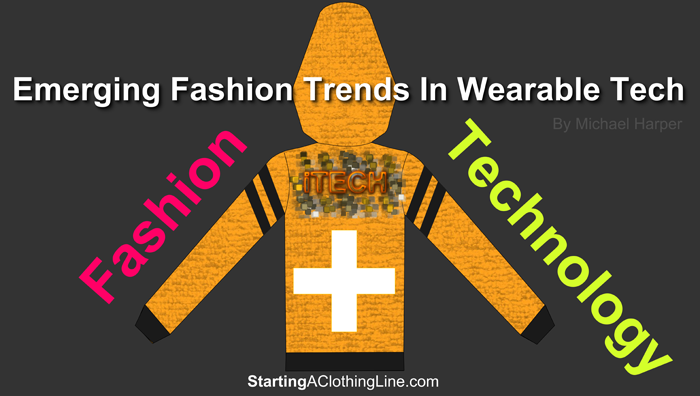 They are creating some really fashion forward garments that have tech embedded into the design. One of their offerings is the Mirror Handbag. According to their website, the Mirror Handbag, “is the world’s first interactive handbag. The Mirror Handbag connects to your smartphone via Bluetooth LE thanks to the Q by CuteCircuit App. 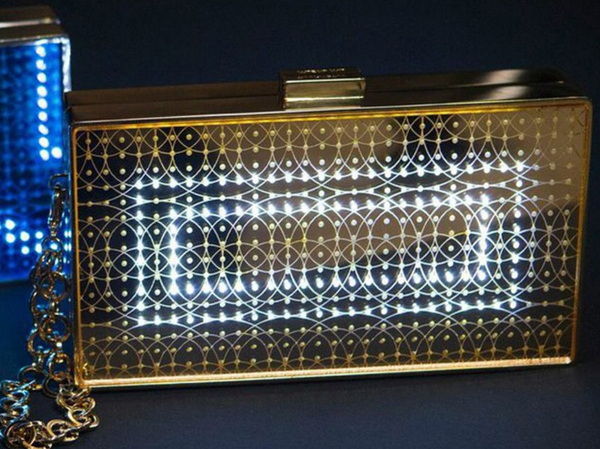 The Mirror Handbag can display Tweets, messages, and animations creating a glow around the wearer.” The Mirror Handbag is constructed out of solid brass coated in Gold, Palladium, and Ruthenium. The interior of the handbag is made out of the softest calf leather showing that they still want to produce a luxurious handbag to surround the tech. Their site also states that the product designs use patented processes and patent pending technology. I suspect that there will be many companies looking to patent the tech that they are creating to give them an edge over competitors in this emerging market. Some of their celebrity clients are Katy Perry Nicole Scherzinger and Sarah Brightman. Below is a photo courtesy of CuteCircuit.com with Nicole Scherzinger wearing Cute Circuits Twitter Dress. The dress includes the latest CuteCircuit Magic Fabric with MicroLEDs that create extraordinary animations and receive Tweets in real time according to the company website. Then there is world famous brand Ralph Lauren. 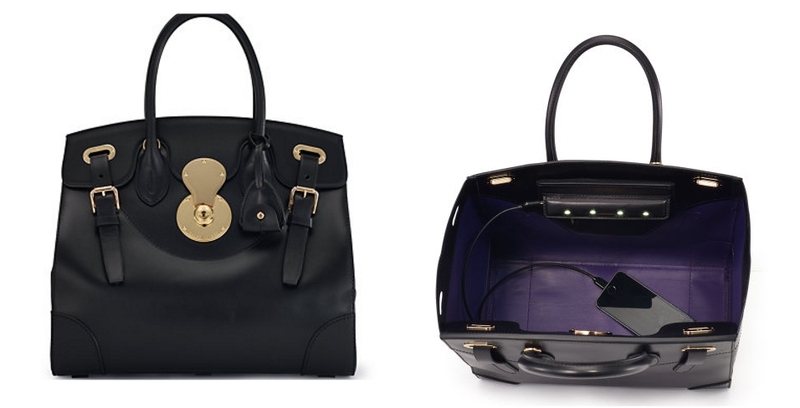 Ralph Lauren is entering the fashion meets tech space with their Ricky Handbag with Light. According to LuxuryDaily.com, who quoted from Ralph Lauren stated that the Ricky Handbag, “is the epitome of functional glamour, combining modern technology innovation with the enduring artistry of [the brand’s] signature silhouette.” This $5,000 bag is available on the Ralph Lauren Website. Another designer utilizing tech in her fashions is shoe and jewelry designer Diana Broussard. Her DBChronical Bag features a LCD Screen that can be personalized with your video message. At the time of this post, the label is accepting pre-orders for this $1950 handbag. What is fab about the bag is the construction, materials and the overall design. The chain belt looks luxurious as it is big and bold. The designer unveiled the new bag at Spring / Summer 2016 Parish Fashion Week. Then there are companies incorporating sensors into their clothing such as some of the fitness apparel from OMsignal. According to their website, “OM Smart Shirt, OM Smart Box and OM Smart App act like a personal coach, making fitness more fun and helping you achieve your fitness goals quicker.” I suspect fashion companies will also incorporate their own mobile apps to work in harmony with their tech enabled garments. In fact, OMSignal licenses its tech out to any apparel brands that want to utilize the technology and incorporate it into their own brands. Then there is the 3D Printing Revolution. A number of apparel brands have already entered this space as I already heard of a few designers putting 3D printed elements into their designs that hit the runway. In fact, on a recent episode of Project Runway Season 14, they had a challenge incorporating 3D printed elements into their designs. 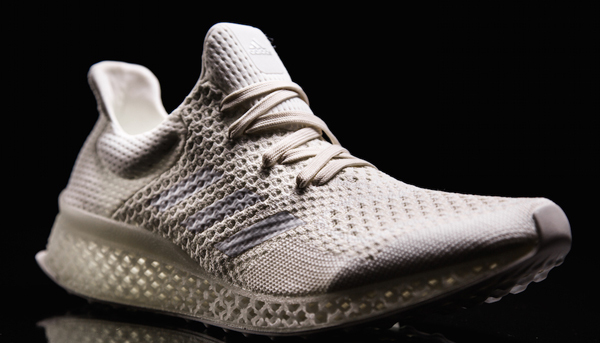 One notable entrant to the 3D printing space in fashion is Adidas who are set to release their sneaker called Futurecraft 3D. According to Engadget.com, stated that, "According to Adidas, each person could have a Futurecraft 3D shoe that matches their own footprint elements, including exact contour details and precise pressure points -- it would be custom-made for you." The entire shoe isn't 3D printed but the customizable midsole is. As a fashion designer, I have to admit that I may be a little biased. When I think design, my mind goes to the tradition thinking of design first while holding the technology that I may want to incorporate into the piece in my back pocket. It is like the icing on the cake. Aesthetically, the design has to be appealing to the target market of the brand. To me, that still remains the foundation of any great design. Next step is in the design process is deciding will the technology that I want to blend into the design add value to the garment without overpowering the design? Will that technology fit perfectly into the concept? In some cases, it may be possible to start with the technology first and then build the garment around the tech. But in either scenario – the design process has to be one that hinges on being fashion forward. Adding tech for the sake of adding tech can feel like a fad. A designer must always be true to him or herself. As wearable tech becomes more and more prevalent, I caution designers to use tech wisely and make sure that the functionality adds value to the consumer. The question that will be answered at some point is how much do consumers care about wearable tech after the trend becomes more widespread and the hype and glitz die down? Will consumers pay the premium prices of these items? What is your opinion on wearable tech? Do you own any pieces yet? Will we all one day throw our traditional sense of what it means to wear fashionable pieces out the window and settle for garments just because of their functionality? We will see. StartingAClothingLine.com was started in 2004 to empower clothing line startups and aspiring fashion designers worldwide through education and our signature fashion tools. We help make the fashion industry accessible for individuals regardless of their background. 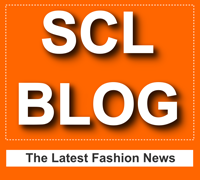 Our Blog features the latest fashion news, designer news, fashion business startup help and SCL news. StartingAClothingLine.com also sponsors numerous charitable organizations across the USA with the goal of bringing the gift of art & fashion design to undeserved communities.